Five young gentlemen agree to share the rent of the Tall House in Chelsea for five weeks. Their names are Haliburton, Moy, Tark, Gilmore, and Charles Ingram. Last names are used almost exclusively for men in this book except for Ingram because his half-brother Frederick will make an appearance later on. During this time, they will be visited by lovely Miss Winnie Pratt who is romantically involved with some of them, and her mother, Mrs. Pratt, who will be a chaperone. Alfreda Longstaff will also be joining this group. She is the only child of the rector of Bispham, and would naturally be expected to keep house for her aging parents which she has no desire to do in this boring village. Gilmore had come to the area, and Alfreda had been attracted to him because he was the only eligible young man to come her way. Gilmore had left with only a civil goodbye and Alfreda was quite upset that a stronger relationship had not developed. Later on at a golf course, she met Warner who worked for a London newspaper. He told her how a position on the paper could be obtained for an aspiring author who managed to find a real "scoop". Gilmore returns and declares his undying love for Alfreda. She declares that they must get to know each other better so he invites her to Tall House for the five weeks, of course, with Mrs. Pratt as a chaperone. Alfreda sees this as an opportunity to get out of Bispham, and to London where she may find her "scoop" and land a newspaper job. One evening when this group is at dinner, the conversation turns to the talk of ghosts and how an old house like Tall House must have one. Gilmore says that ghosts are nonsense. They were just living people dressed up and pretending, and that if he ever encountered such a "ghost" he would shoot it. Later during that night, the residents hear a gun shot and find Gilmore at the door of his room with a gun in his hand, and Ingram dead on the floor of the hall with a bullet in his head and with a sheet wrapped around him. Gilmore is panicked and says that he only had blanks in his gun. Enter Inspector Pointer who is has "a tanned, pleasant face and a pair of very steady, tranquil, dark gray eyes " with which he can watch the strange activities of those living in the house. Ingram was an expert in codes and ciphers, and the residents all seem to be engaged in going through his papers and books to find something of value to them, although Pointer is not sure what this is. An inquest leaves Gilmore free of blame in the death. Miss Longstaff does provides inside information about the crime to the paper thus giving her a scoop. Things will get even more complex in the best tradition of the puzzle mystery, but in the end, Inspector Pointer solves the crime and finds the murderer even though he spends a lot of time on a big red herring. Sometimes I found that the search for Ingram's papers became a bit confusing. Also the author gives very sinister descriptions of the appearance of Miss Longstreth and Mr. Tark surely to convey to the reader that they are "bad guys" while it could be assumed that attractive Winnie Pratt must be above suspicion. Nothing is really know about the author, A. E. Fielding. There is a forward by Greg Fowlkes which tells about the search for information about A. E. Fielding who also published books under the name of Archibald Fielding and Archibald E. Fielding. There is some evidence that Fielding could be a "middle-aged English lady" or could be Lady Dorothy Mary Evelyn Moore nee Feilding, but her descendents deny this. This book was published in 1933, and has been reissued by Resurrected Press, and is available from Amazon in paper or e-book form. 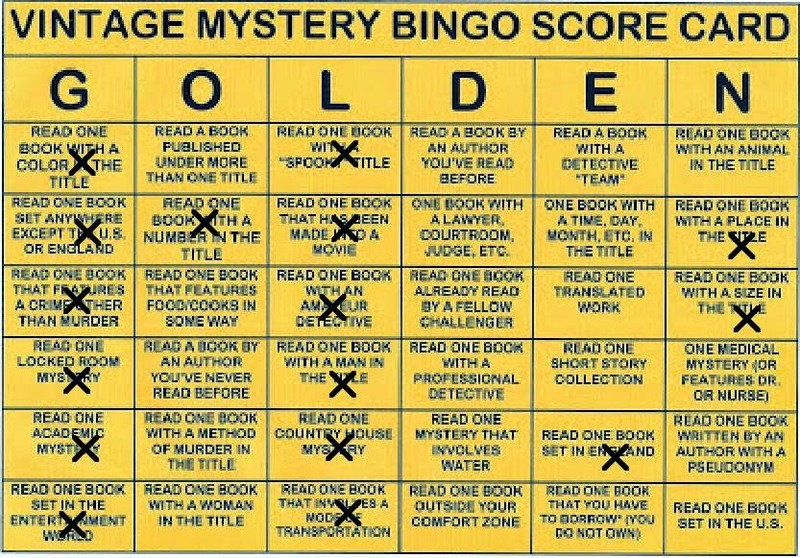 I have read this book for the Vintage Mystery Bingo Challenge in the category of a book with a size in the title. I recently reviewed this novel for my own blog (http://noah-stewart.com/2014/08/04/the-tall-house-mystery-by-a-fielding-1933/) and I am indebted to you for finding it, as I said there; just thought I would leave a note and thank you for sparking my own review, AND for the opportunity to claim it in the Vintage Mystery Bingo! I was really frustrated and unable to think of a book with a size in the title, and you saved me. Thanks!